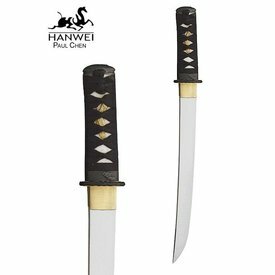 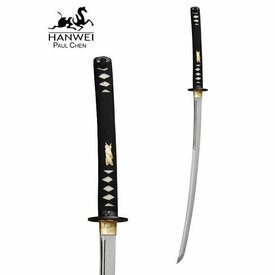 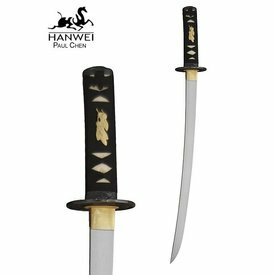 The Raptor Series of CAS Hanwei are developed by katana master James Williams. 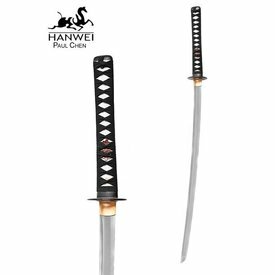 These samurai swords are perfect for cutting tests. 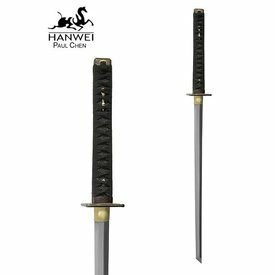 This tanto has a 5160 carbon steel blade with a 57 HRC hardness. 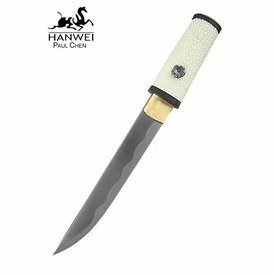 The grip is wrapped round with shagreen and rough woven cotton. 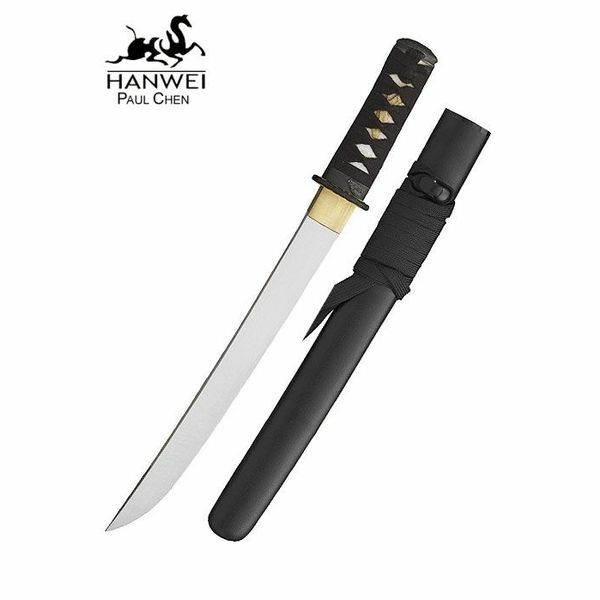 The blade and grip are handmade and manually finished. 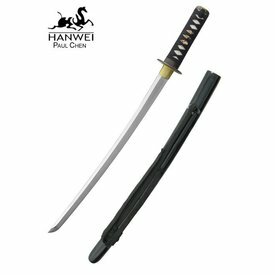 This tanto is delivered including a wooden scabbard. 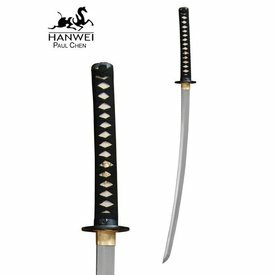 This tanto is 41,9 cm long with a blade of 27,3 cm, a grip of 11,4 cm and weighs 368 grams.